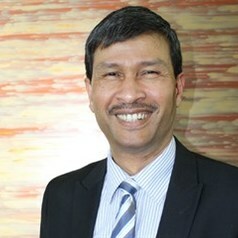 Dr. Prasanta Kumar Dey is a professor of Operations Management at Aston Business School. He has been honored as 50th Anniversary Chair of Aston University in 2017. He also won Vice Chancellor award for research excellence in 2012. Prior to joining Aston University in 2004, he worked for five years in the University of the West Indies in Barbados as a Director of graduate project management program and 13 years in Indian Oil Corporation Limited, India as a project executive in various capacities. He specialises in supply chain and project management and the circular economy. He has published more than 150 research papers and has accomplished several impactful interdisciplinary research projects on sustainable supply chains of small and medium sized enterprises (SMEs) across the globe. He is currently helping SMEs in the UK to adopt low carbon initiatives and achieve competitiveness. This project is funded by European Regional Development Funding bodies. He is also actively involved in various low carbon initiatives in a few emerging economies like India, Bangladesh, Thailand, Brazil and Mexico. He is the editor-in-chief of the International Journal of Energy Sector Management and the founder co-director of Aston India Foundation for Applied Research. He also acts as reviewer of project proposals for leading funding bodies and journals.